We always cover posts which are related to cars that are performance beasts or some conceptual stuff that has years to go until the actual thing is out. However, today’s article is about something that is readily available but the adult readers might not be able to benefit from today’s highlight. 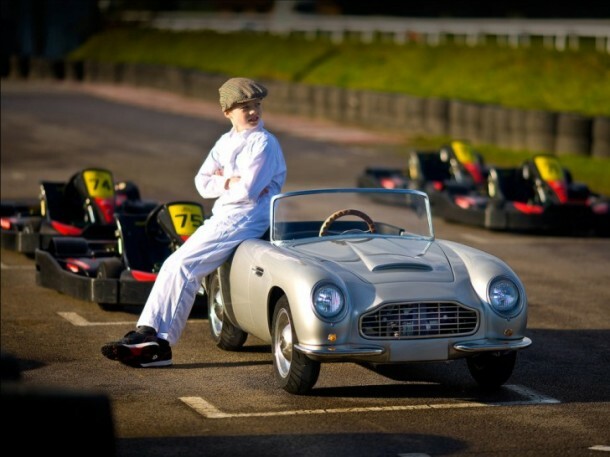 What we are talking about is something that comes from Nicholas Mee & Co, Aston Martin Heritage Dealer in West London and has been designed for children who are at least 10 years old. We usually ascribe sports car, especially the classic ones with middle aged people. 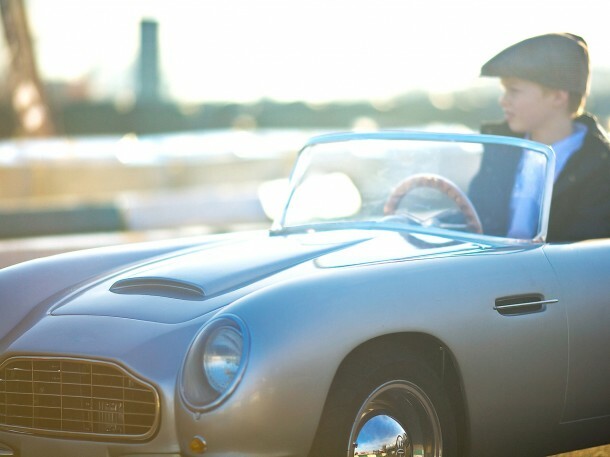 However, the company is now targeting the younger lot by bringing out this Aston Martin DB model from the 1960s out with a twist; it’s a miniature version designed for kids. The car will be completely functional and comes equipped with an engine that runs on petrol. Don’t get too carried away though, the car doesn’t come with the regular MI6 add-ons. Nonetheless, it has been designed in detail as it can be seen by the wood-rimmed steering wheel. 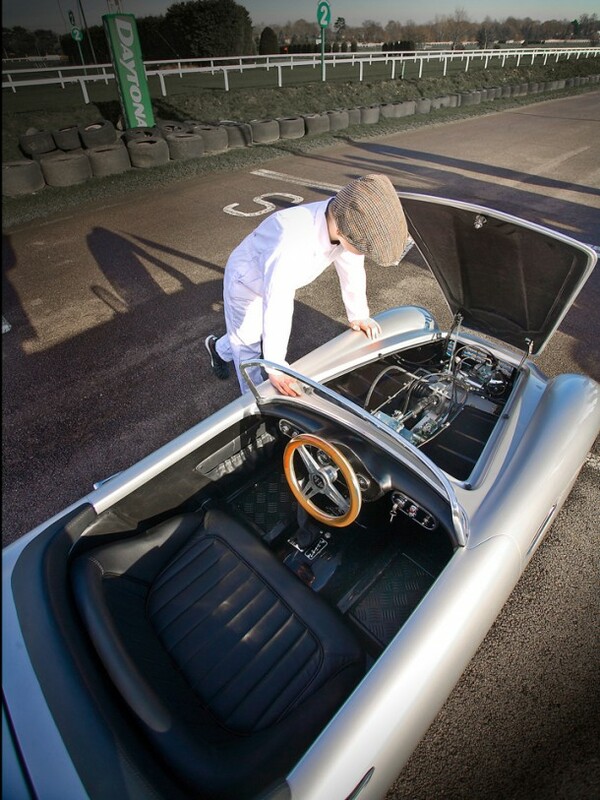 The car measures about 98”x40”, has 2 doors, rear-wheel drive and has been completely hand built. The whole crafting of this model involves a composite body that has been enclosed within a chassis that is essentially a steel box. Although the standard color is silver, the heritage dealer has announced that the car will be available in a number of colors and this particular model can be painted into any color depending upon user’s choice or the color that the full sized Aston Martins are available. Now to move on the specifications; the engine is 4-stroke and 110 cc air-cooled. The car comes with a semi-automatic 3-speed transmission, disk brakes from Brembo and a suspension which is coil over. Nicholas Mee is being a little secretive about how good the acceleration is for this engine but has told us that the car can achieve a speed of around 74km/hr. However, for the concerned parents; the top speed can be restricted to keep the children safe. The car is available for shipping right away. However beware that this car like its elder version, won’t go easy on your pocket. The price tag for this model is $27,000 and well it would definitely make one heck of an expensive gift!